^ "Yackjee." Marriage Records 1837-2005. ^ "Vivien Leigh's parents and extended family." Hartley family genealogy website. Retrieved: 10 October 2013. ^ "Vivien Leigh profile". Turner Classic Movies. Retrieved: 13 October 2013. ^ "Suzanne Farrington (Holman)." Geni.com. Retrieved: 13 October 2013. ^ a b c Boothe, John E. and Lewis Funke, eds. "Actors Talk About Acting: Vivien Leigh interview (1961)." 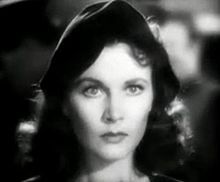 vivien-leigh.com. Retrieved: 13 October 2013. ^ Thomas, Bob. "Quoting Olivia de Havilland." DC Examiner (The Associated Press), 3 January 2006. Retrieved: 7 January 2006,. 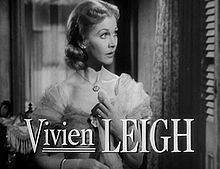 ^ "Vivien Leigh- Biography." Yahoo! Movies. Retrieved: 13 October 2012. ^ Brooks, Richard. 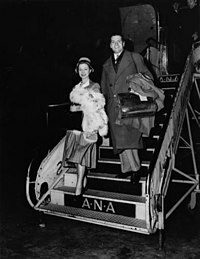 "Olivier Worn Out by Love and Lust of Vivien Leigh". The Sunday Times, 7 August 2005. Retrieved: 27 July 2008. ^ Ebert, Roger. "Vivien Leigh." Roger Ebert.com quoting Andrew Sarris, The American Cinema: Directors and Directions 1929–1968. Retrieved: 6 January 2006. ^ "Reviews on the Web", quoting Andrew Sarris in You Ain't Heard Nothin' Yet, The American Talking Film: History & Memory, 1927–1949." The New York Times, 3 May 1998. Retrieved: 11 January 2006. ^ Ellis, Samantha. "Peter Brook's Titus Andronicus, August 1955". The Guardian, 23 June 2003 (quoting Kenneth Tynan). Retrieved: 7 January 2005. ^ "Laurence Olivier/Vivien Leigh." Gateways: National Library of Australia. ISSN 1443-0568, #14, March 1995. Retrieved: 7 January 2006. ^ a b "Awards won by Vivien Leigh". Academy Awards Database (Oscars.org). Retrieved: 24 May 2008. ^ "1939 Awards." New York Film Critics Circle. Retrieved: 24 May 2008. ^ a b "A Streetcar Named Desire". British Academy of Film and Television Arts Awards. Retrieved: 22 May 2008. 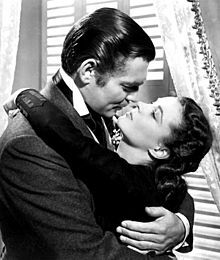 ^ "Golden Globe Awards won by Vivien Leigh." Hollywood Foreign Press Association. Retrieved: 24 May 2008. ^ "1951 Awards." Archived 2010年9月7日, at the Wayback Machine. New York Film Critics Circle. Retrieved: 24 May 2008. ^ "Vivien Leigh." Tony Awards Database. Retrieved: 24 May 2008. Maltin, Leonard. 1998 Movie and Video Guide. New York: Signet Books, 1997. ISBN 978-0-45225-993-5. Selznick, David O.; Rudy Behlmer, editor. Memo from David O. Selznick. New York: Modern Library, 2000. ISBN 0-375-75531-4. Shipman, David, Movie Talk. New York: St Martin's Press, 1988. ISBN 0-312-03403-2. Vickers, Hugo. Vivien Leigh: A Biography. London: Little, Brown and Company, 1988 edition. ISBN 978-0-33031-166-3. Walker, Alexander. Vivien, The Life of Vivien Leigh. New York: Grove Press, 1987. ISBN 0-8021-3259-6.